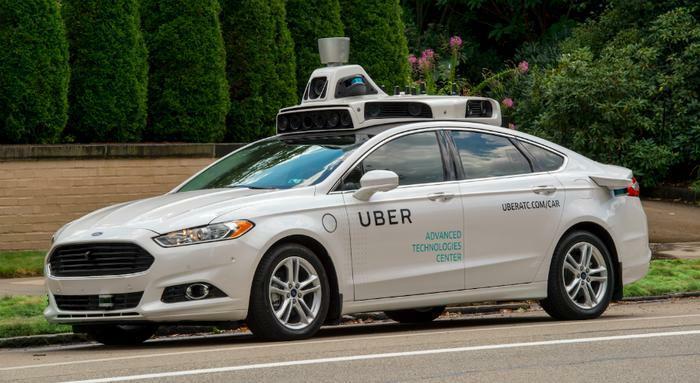 After one of its vehicles fatally crashed into a pedestrian in Tempe, Arizona, Uber has decided not to renew its permit to test its self-driving technology on public roads in California. Its existing permit is set to expire Saturday. The company temporarily suspended its self-driving operations in a number of test cities following the incident, and Arizona Governor Doug Ducey -- who had initially welcomed Uber to the state with “open arms and wide open roads” -- ordered an indefinite suspension of Uber’s public road testing of driverless cars in the state of Arizona. In a letter sent Monday to Uber CEO Dara Khosrowshahi, Ducey called the incident an "unquestionable failure" to meet public safety expectations. “In the best interests of the people of my state, I have directed the Arizona Department of Transportation to suspend Uber’s ability to test and operate autonomous vehicles on Arizona’s public roadways,” Ducey wrote. Now, Uber is taking its testing hiatus a step further by choosing not to renew its permit to test on public roads in California. The ride-hailing company said it does not know when it will reapply to test its cars in California. If Uber wants to renew its permit in the future, California’s Department of Motor Vehicles said in a letter on Tuesday that it will need a new permit and will have to address the results from the investigation into the Arizona crash. “Any application for a new permit will need to address any follow-up analysis or investigations from the recent crash in Arizona and may also require a meeting with the department,” wrote Brian Soublet, DMV deputy director and chief counsel. Uber says it is continuing to cooperate with investigators. The National Transportation Safety Board and National Highway Traffic Safety Administration are working with Tempe police on the investigation.